For those of us who think about summer camp all year long, this coming Tuesday, November 17th, is an exciting day. It’s the annual International Wear Your Summer Camp T-Shirt Day! Join campers, counselors, parents, and alumni from all over the world in showing your summer camp pride by wearing your favorite @MaineCamps T-Shirt at work, at school, or even around the house. Then share the fun with us (and your camp!) by taking a picture in your favorite shirt, posting to Facebook, Twitter, or Instagram with the hashtag #CampTShirtDay and tagging @MaineCamps (and your camp!). It really is a special day for the summer camp community, a day to take a moment and reflect on the joy and meaning our summer experiences bring to our lives, and to connect with friends who may live far away. Camp friends are connected all year long, and Tuesday is the worldwide occasion to check in and celebrate! So join us! You can check out the Camp Craze Facebook event here, or just get in on the fun by posting to social media. 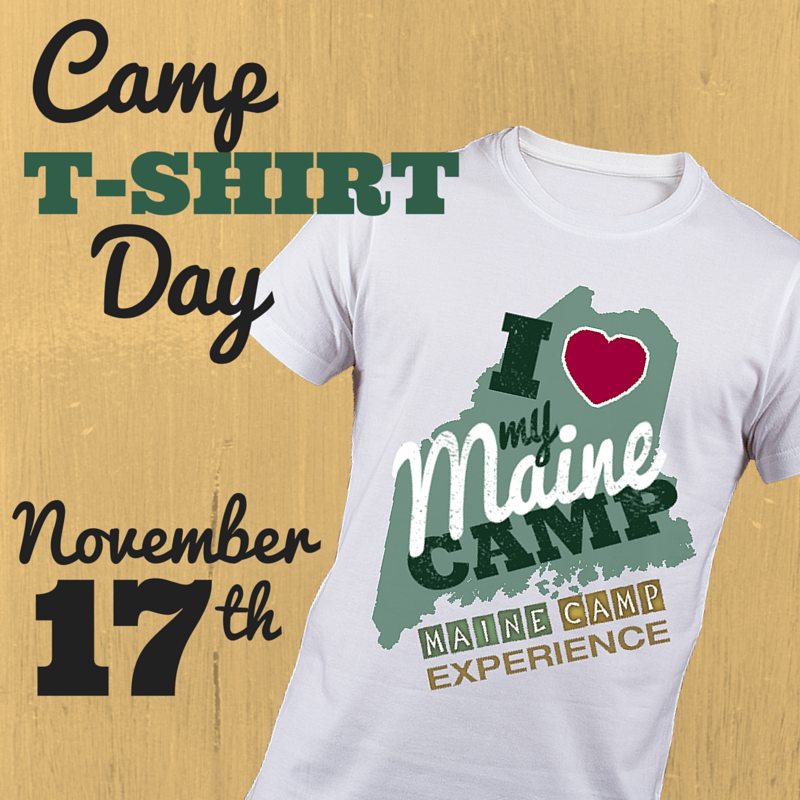 Be sure to at least experience all the #CampTShirtDay fun, and give your @MaineCamps family a shout out!